A huge thank you to everyone who donated in 2017! It is through your support that we are able to carry out this important work. In our recent December campaign, generous donors and supporters like you helped us raise over $22,500! Stay tuned in the coming months for the full 2017 annual report to learn more about all that was accomplished last year. While we are bundling up and digging ourselves out of the snow in the North, Villa El Salvador is enjoying a vibrant, productive Summer. 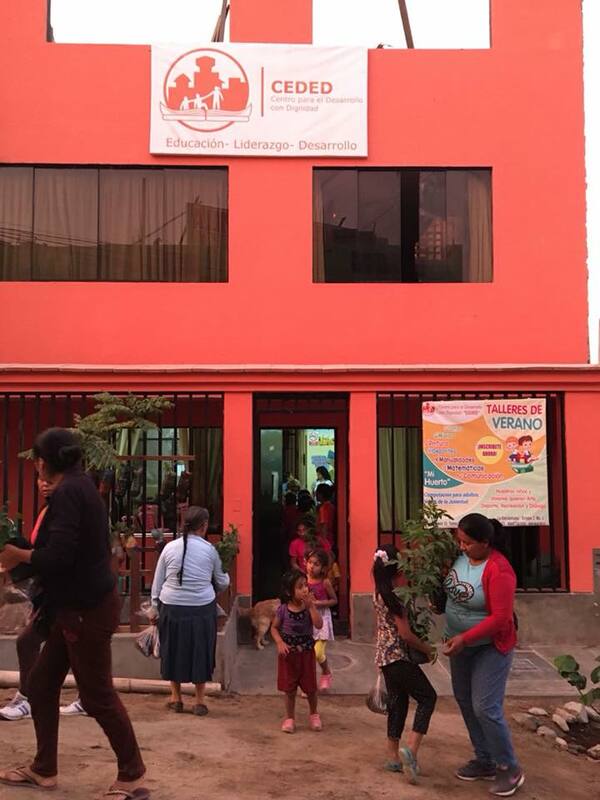 We just finished the second cycle of the year, and are excited to share some of the changes and developments taking place under the leadership of the Center for Development with Dignity's new Executive Director and former mayor of Lima, Susana Villarán. Enjoy this brief look at what we have been up to for the past few months! Developed in coordination with local leaders, our new "Model Neighborhood" initiative aims to to make the La Encantada neighborhood a successful model of urban development for other communities to emulate. A crucial part of this project includes reclaiming public spaces for cultural enrichment activities and improving environmental infrastructure. This summer 53 trees were adopted by children as part of this project's commitment to building a green, healthy, and safe community. Our Voices of Youth Program continues strong in the two communities of Oasis and La Encantada. One of the key themes addressed this summer was the high rate of gender violence in Peru. 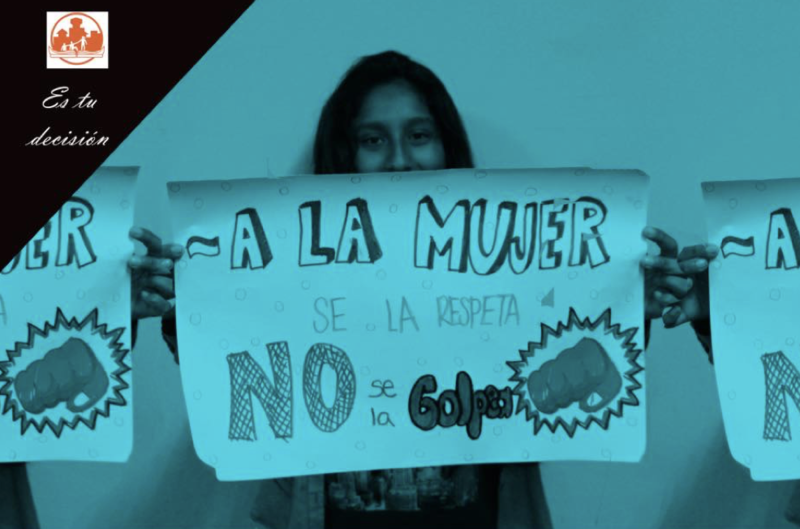 During November and December, participants designed, photographed and uploaded posters to their Facebook pages to protest this violence as part of the International Day for the Elimination of Violence Against Women. Our commitment to providing quality academic programming is grounded in our comprehensive approach to education. This year, our after-school tutoring program highlighted the success of this approach, as students enrolled showed measurable academic improvement in all subjects. As we move into 2018, we are furthering this commitment by offering an even more personalized tutoring program, which will increase the availability of psychological counseling services for each child and also provide a space for increased family involvement. 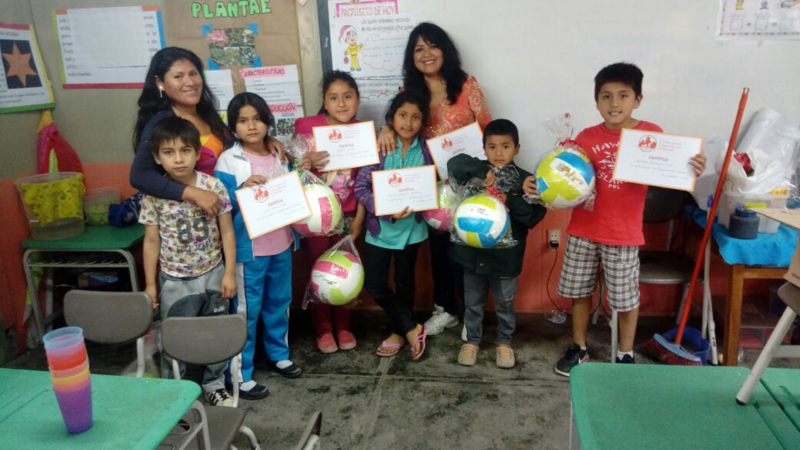 Recent graduates of our Academic Enrichment program pose with their certificates alongside Ana María, the Program Coordinator. As our organization continues to grow and develop, so do our infrastructure needs. This Spring, we invested in major infrastructure improvements. We built new offices, added a new community space for legal and psychological consults, and renovated the building's existing facilities, including the kitchen, bathroom and entryway. The Center also received a fresh coat of paint and banner which really brightens up the block. 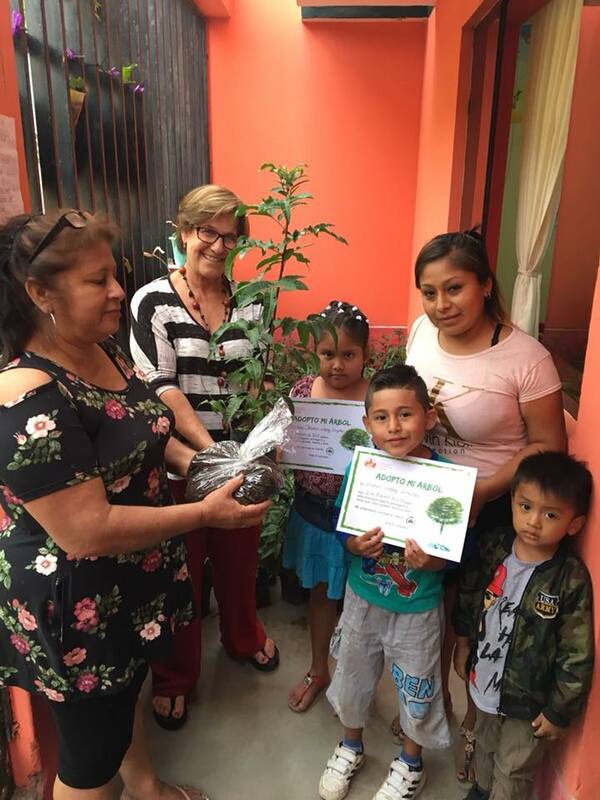 Community members gather in front of the newly repainted community center to receive their trees as a part of the adopt-a-tree community greening initiative. Thank you to Advisory Board founding members, Bryan and Amy, for their outstanding service! 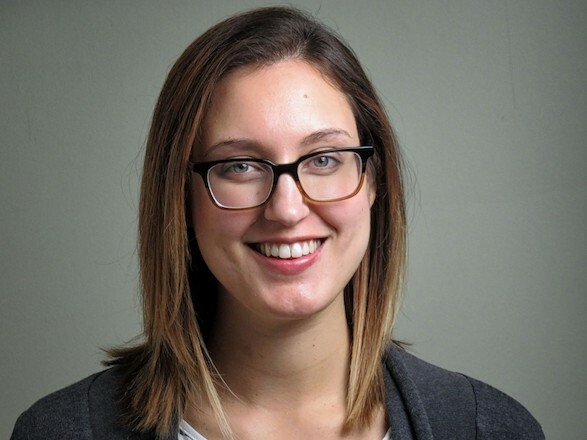 After over six years of outstanding service, two founding members of Building Dignity’s advisory board are rotating off the board to make space for new members. 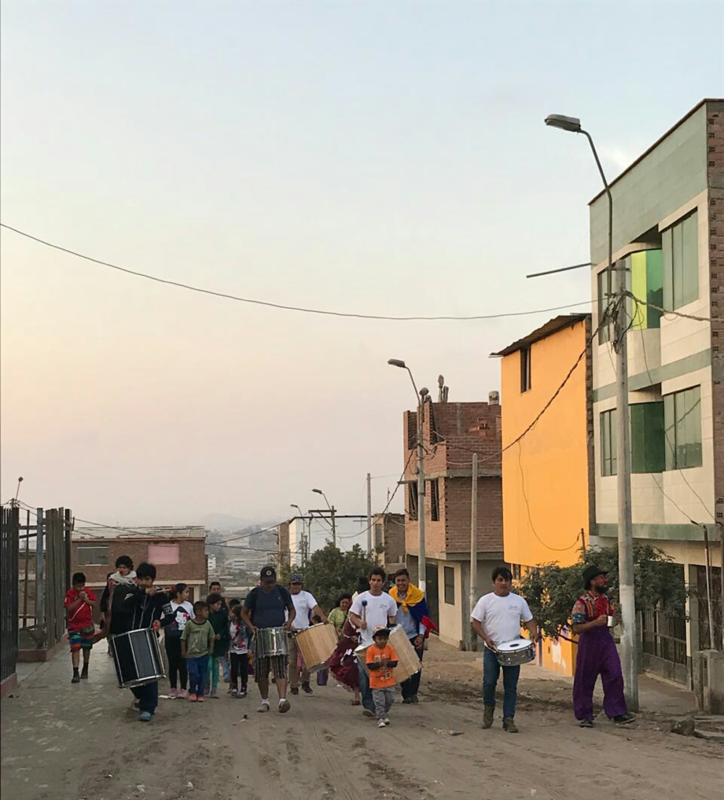 Amy Hill Cosimini began her involvement in 2009 when she performed in our inaugural fundraising concert at Macalester College, to pay for the construction of the community center in Peru. 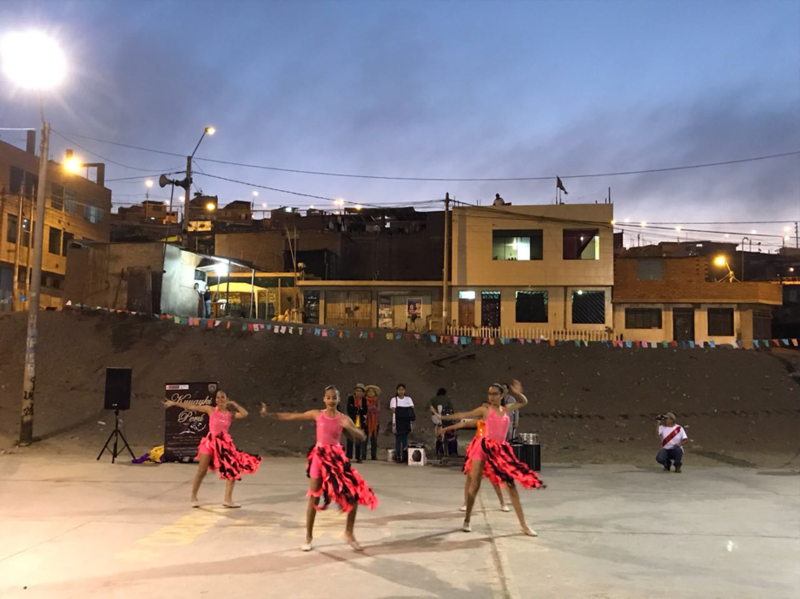 In 2013, Amy was instrumental in bringing a Global Studies Student Association (GSSA) delegation of University of Minnesota students to Lima to volunteer. Both in Lima and in Minnesota, Amy has worked hard to ensure Building Dignity’s success and long-term viability. Bryan Frantz has supported social justice initiatives in Peru since 2001, and joined our inaugural board in 2011. 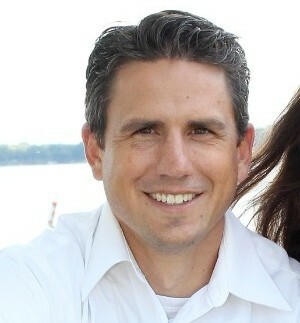 Bryan provided legal guidance, worked on taxes and payroll tasks, co-hosted many fundraisers, and supported our partnership with Wayzata Community Church. He is unfailingly generous with his time and we have always appreciated Bryan’s attitude of “I’ll do whatever is needed.” In 2014, he even ran a marathon to raise much-needed funds!! Amy and Bryan look forward to staying involved and continuing to share their talents with Building Dignity. We are deeply grateful for their vital contributions to our work in Peru.